- Relieves family of expenses. Funds, with interest, will be available at time of need to help cover funeral costs, when a pre-plan is paid by doing an Irrevocable and/or Revocable contract. Or, you can protect you and your family from inflation, by pre-funding your plan. This ensures the majority of your expenses will be covered when you need them to be. Another point we’d like to stress: When you pre-plan with Rose Hill Funeral Homes, your plan will go where you go. No matter where you reside at the time of your passing, no matter what funeral home you choose to work with, your plan will be transferable to any funeral home in the United States. Why Pre-Plan with Rose Hill Funeral Homes? Our plans must be paid in full at time of signing contract(s). Request a personal appointment with a Rose Hill Funeral Homes pre-planning advisor. Please contact us by clicking on the link below. 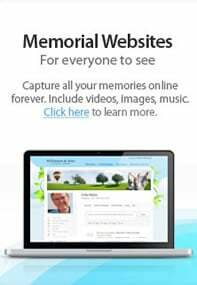 Record your personal information to be kept on file at Rose Hill Funeral Homes. For assistance in completing this online planning process, please contact us by calling (860) 529-3381.